GXP and BB30 are two technologies used in biking. They can also be treated as the design systems that include the bike frame, crankset, and bottom bracket shell. Usually, the focus of attention is on the bottom bracket component; the crankset and bike frame are not mentioned as much. Both technologies are used by bike manufactures for their products, and by bike enthusiasts who like to build their own bikes using their own designs. Both GXP and BB30 technologies use a bearing set that is pressed to the bike frame with no external bottom bracket component. In using GXP and BB30 technology, there is less weight, and the frame is also stiffened because of the spindle and bottom bracket’s wider diameter. Another common factor between GXP and BB30 technologies is that they are only applicable to their respective frames, crankset, and bottom bracket. 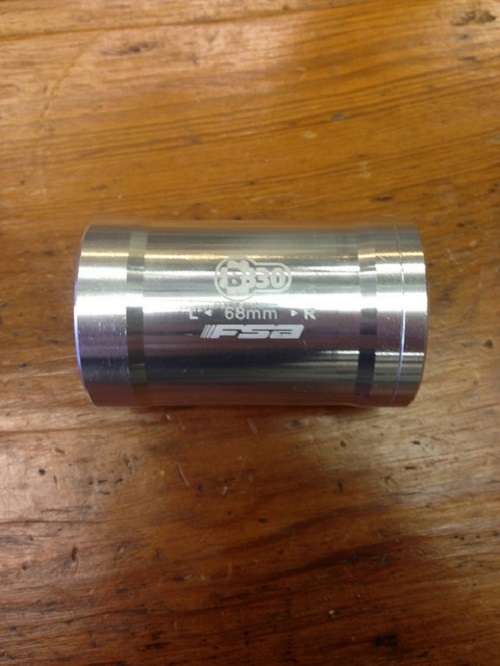 A GXP bottom bracket will not work on a BB30 frame or any incompatible parts. “GXP” stands for “Giga X Pipe,” while “BB30” is short for “Bottom Bracket.” The “30” indicates the 30-millimeter diameter of the bottom bracket and spindle. GXP technology is compatible with a wide variety of bike parts like the S 300, 500, and 988 GXP crankset, SRAM BB and crankset (Rival and Force model). SRAM Apex and Red BB are also compatible with this system. Another brand that has a lot of compatible models is Truvativ. BB30 is a free international standard. The BB30 bottom bracket is the industrial standard for bottom brackets. The BB30 was introduced in 2000 at the Tour de France, and it is promoted by Cannondale. Bicycle models that are compatible with BB30 are the S 300, 500, 900 cranksets and the SRAM Force and Red crankset. 1. BB30 (Bottom Bracket 30) and GXP (Giga X Pipe) are developed technologies in bikes. The technology comprises the bike frame, the crankset, and the bottom bracket. Usually, the bottom bracket is the most important and biggest focus in these technologies. 2. Both technologies are only applicable to their respective and related parts. A BB30 component cannot be used as complementary or as a replacement for a GXP component. 3. GXP and BB30 technologies are used for many types of bikes – cycling, mountain bikes, and cross bikes, among others. 4. The “30” in “BB30” refers to the 30-millimeter diameter of the bottom bracket and spindle. 5. Both BB30 and GXP have a press-fit bearing set with no external bottom bracket shell that stiffens the frame and provides less weight. Celine. "Difference Between GXP and BB30." DifferenceBetween.net. July 30, 2017 < http://www.differencebetween.net/object/auto-object/difference-between-gxp-and-bb30/ >. Should number 5 read, “GXP and BB30 bearings are pressed into the bottom bracket shell. . . . and due to the diameter. . . adds stiffness to that area of the frame? Very confusing to me as stated, please forgive my misunderstanding if I am wrong. Bottom bracket confusion is normal in today’s crazy variety of frames BB’s and hardware for them. I wish the Industry would adopt some sort of easy standard. Why did you not actually specify the differences by backing them up with the specs and dimensions?? ?